Cozy Bohemian Beaded Headband Head wrap Bandanna Turban Hairband Boho Chic Yoga head band Earmuff! Cozy Bohemian Beaded Headband Head wrapped Bandanna Turban Hairband Boho Chic Yoga head band Coechella! That headband is ideal for yoga, running, working out or just creating a new easy hair style. SIMPLE and very COMFORTABLE DESIGN. 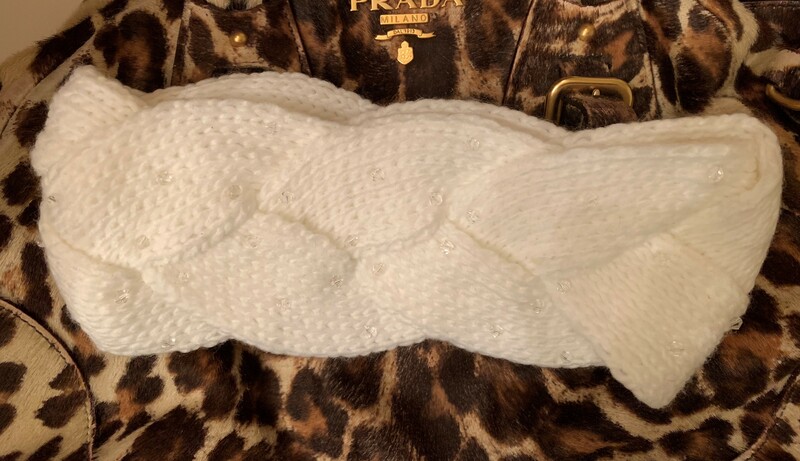 This Headband is stretchy one size fits most and it does not cause headaches. To Keep your hair out of your face. This is also very cozy for those cold winter days when you need some protection for your head and ears. Very versatile little knitted piece!